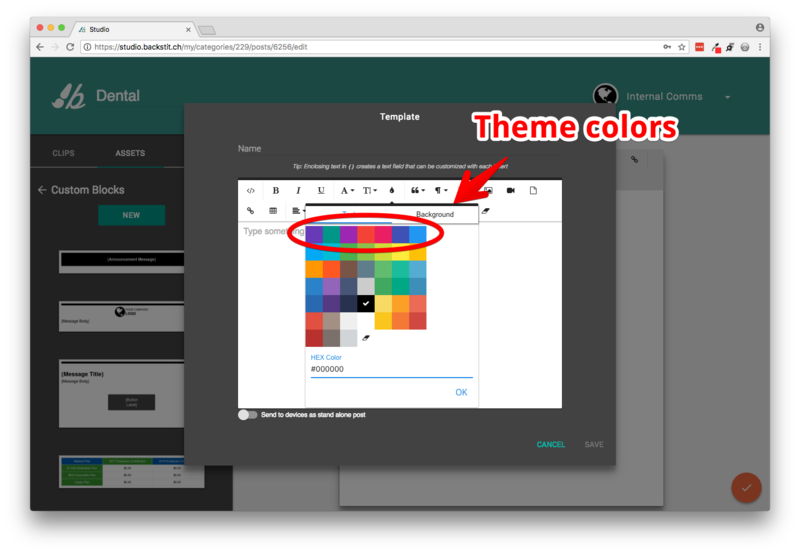 How do I choose theme colors? There are multiple ways to use your branded colors. Read below for more. 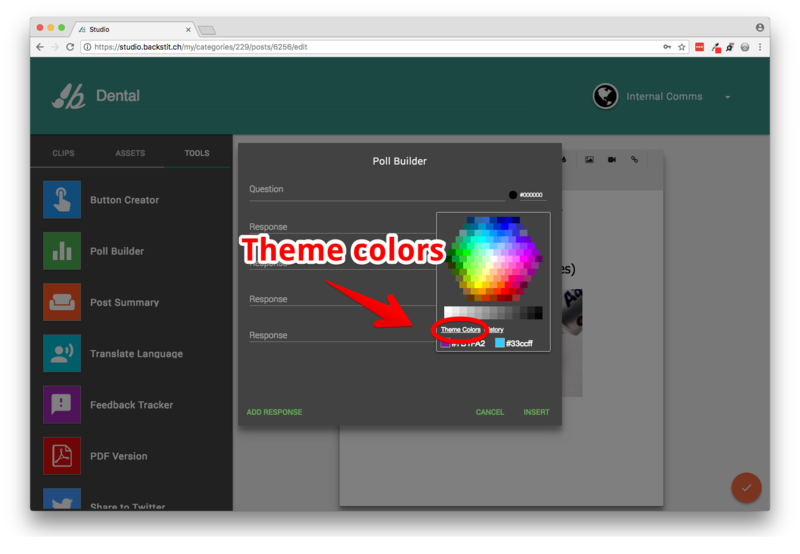 Choose your branded colors for text, Custom Blocks, Button Creator and Poll Builder. 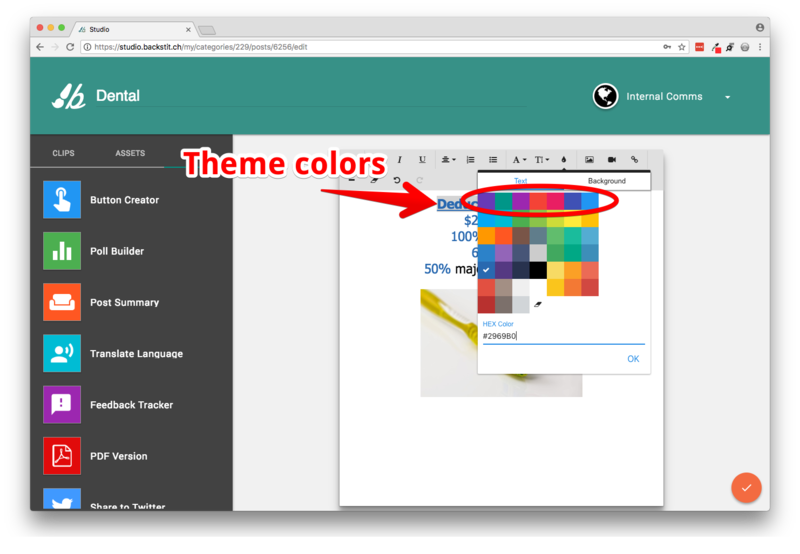 The preset theme colors will be loaded to all the color pickers. If you would like to keep updated with new features, like the theme colors, check out our patch notes for updates periodically!